Registration is limited to 7 participants. This will ensure that everyone gets a healthy amount of work throughout the kiln, and everyone gets individual instruction. I am dedicated to quality not quantity. Though I have taught workshops at Arrowmont, Haystack, Peter's Valley and Anderson Ranch, the pleasure of teaching here at my own home, in a kiln I have fired 28 times is very different. 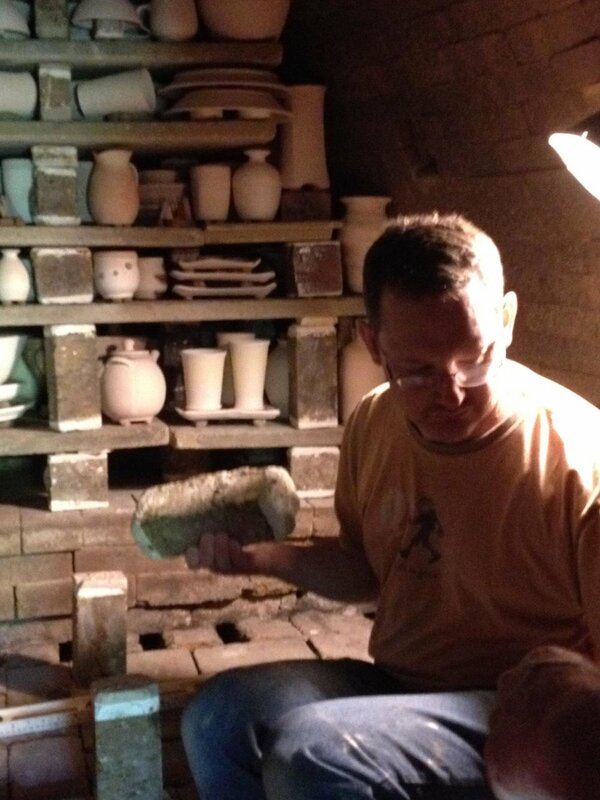 It allows a glimpse into the life of a full time potter, and a much smaller close knit workshop experience. The cost for the workshop is $1,600. This workshop is designed to make this experience worth every penny. Not only will participants get a lot of their own work fired, but I will be providing invaluable instruction and two fun weeks of hard work in beautiful rural Wisconsin. Wood, will be processed, and ready, glazes, slips, wadding and materials will be included. Apprentices and I will be available the whole workshop to answer questions and ensure students are understanding this complicated process. Our 4th year hosting this workshop and I feel like we have worked out most of the glitches. I love this workshop format, it is intense and relaxed, focused and rewarding. We all work in community to do one complex thing and students return home with a lot of knowledge and a lot of pottery to consider. I am totally thrilled to have the reclusive Liz Lurie as this year’s guest artist. Central to my work is the desire to communicate a strong sense of muscular physicality, harmony and a quiet beauty which reveals itself slowly. I am interested in the subtle changes in form that happen over time, a slightly different angle, a lowering of volume, or an addition of an appendage. These nuanced variations give rise to the evolution of form. I find deep satisfaction in working within the limits of function. For me, there is freedom in the structure that use provides. It is always my grounding starting point. There is directness to their intention as they fulfill their lives on counters, in cupboards and dish racks. It is my hope through form, texture, and color that my work might provide a moment of slowness, comfort and intrigue and provide nourishment whether they are empty or full. In 2017 as a special treat, Tales of a Red Clay Rambler's, Ben Carter, joined us for demos in my studio, and he interviewed me, my apprentices and the workshop participants. If you want to get a sense of what this summer's workshop will be like, you can listen to these three episodes.